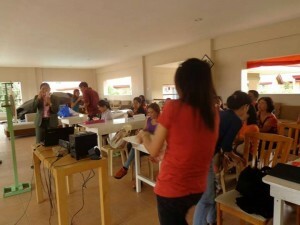 Last August 1, Land Resources Corp. held its broker’s meeting and sales awarding at Tuscania Subdivision’s clubhouse. The first part of the program was the broker’s meeting wherein they have disclosed to all the attendees their newest promos for the month of August. And the second part was mainly for the sales awarding ceremony. In the event, brokers and salespersons from varied realty firms were present. Each realty that is under a certain team was there to attend the said meeting and awarding ceremony. During the brokers meeting, the four teams namely Amalfi, Verona, Treviso and Capri were acknowledged for their great performance for the past months. Land Resources Corp. congratulated the teams for the sales they have contributed in Tuscania Subdivision. New promos and great offers were disclosed to all of the attendees during the ceremony. The promos mentioned are definitely in for prospect buyers as they will surely have a great benefit from it. Also, in the event, Land Resources Corp. did some spin the wheel promo for all the realty firms who were able to close a sale. And so, all the teams went home happily as they were able to get something from the sales they have booked. Congratulations to all the teams for the job well done. Updates regarding Tuscania’s latest promo will be posted soon. Until then!